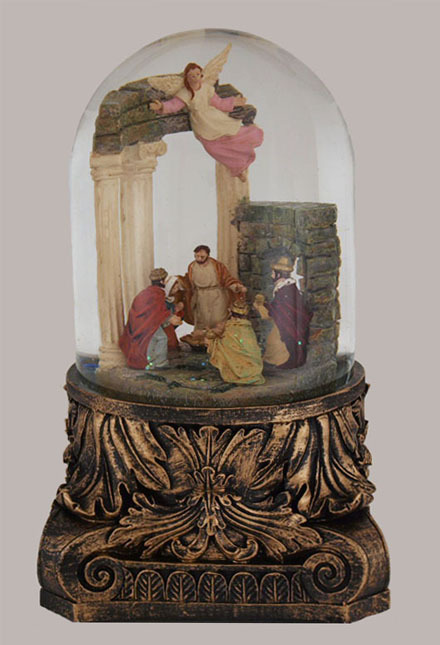 A decorative base highlights the journey of the Three Kings in this artfully-designed musical nativity snowglobe. The Fontanini glass dome showcases the gift of Christ as Mary, Joseph, the Wise Men and the glorious Angel gather in adoration. Features the musical tune “Away in a Manger.” A fine family collectible to be cherished for years to come.